Nine months and a week after receiving the call that I was in, the road to the Mongol Derby has come to an end. on Wednesday, I board a plane to Ulan Bator and brace myself to be thrown into a seismic challenge that I’ve spent every day of the last 37 weeks preparing for, but that I know I could never be truly ready for. 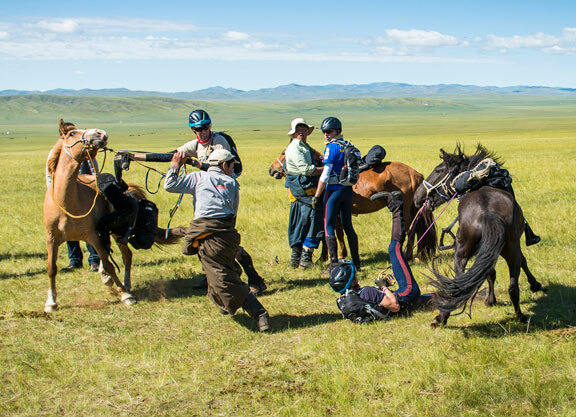 To recap, the Mongol Derby is a 1000 kilometre (620 mile) race across the Steppes of Outer Mongolia on ‘semi-wild’ (aka varying definitions of broke) Mongolian horses. There is no marked course; we’ll navigate to each checkpoint by GPS and change horses every 40km. We’ll ride 14 hours a day for 10 days straight and camp out with the nomads (no showers), mimicking their lifestyle and diet. We’ll do all this with maximum 5 kilograms (11 pounds) of kit carried by saddlebag. Race training starts on Aug. 5, the starting gun fires on Aug. 8 and riders have until Aug. 17 to reach the finish line. What has preparation looked like? First, seemingly endless winter months of galloping in the Lexington deep freeze, snow, and once even an ice storm. And suddenly, within about two days, riding out in the suffocating heat. Galloping racehorses turned out to be the best preparation I could have dreamed of in terms of fitness, strength, but most importantly, the confidence to jump on an unfamiliar steed and head off at full speed; the mantra of the Mongol Derby.